i came across this site, radical cartography (through pinterest of course) and have fallen deeply and madly in love. it started with land value in nyc and then jumped over to education in dc. but when i found bill's america, well i figured out what we're making HUGE and putting on our wall. 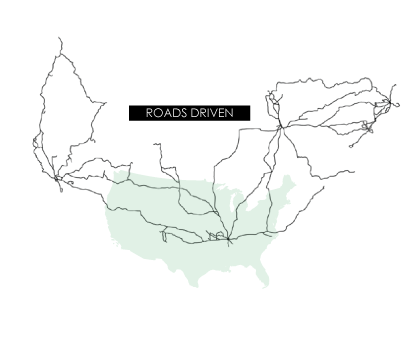 our americas - roads driven style. we've done more than one back and forth of this country. that should be celebrated, no? that's a brilliant idea. i've been on a map kick lately and i love when i find maps that have personal meaning. hmmm. this is a good idea. we've got a few road trips under our belts too.